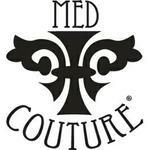 Activate by Med Couture Warm Terrain. Princess seams for flattering fit with zip front closure. Cuffed long sleeves.